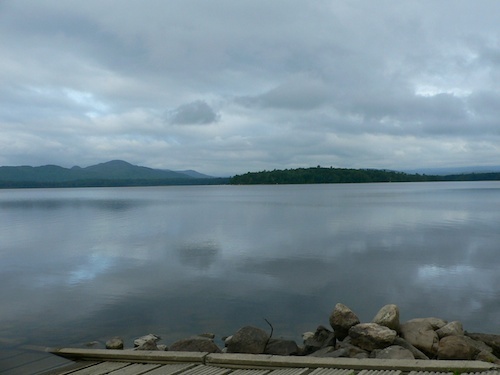 It’s just over two hours from our camp in Quebec to Jackman, Maine. Two hours but a world apart. 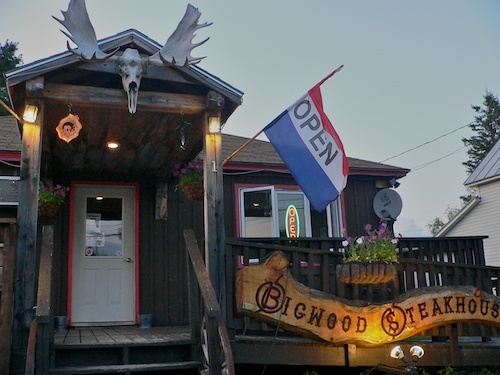 Twenty miles over the border and we’ve traded French, urban, chic for North Woods back county. We arrived at our campground and the owner was gone, but he knew we were coming so he left a map and our site number. The campground was empty of people. The trailers and Rv’s that are there must belong to weekenders. Our assigned site is too narrow and heavily treed to back into, so we find one a little wider that lets us open our slide. It’s a pretty, wooded campground. There is a stream and pond behind us, and a little bridge to a small island. So far, so good. We are here for two weeks. 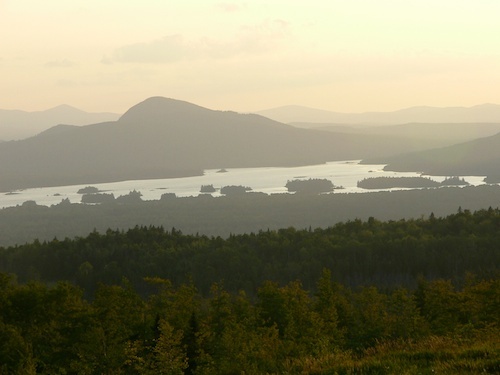 Maine is one of our favorite states. Most of our time has been spent along the rocky coast in areas like Bar Harbor. 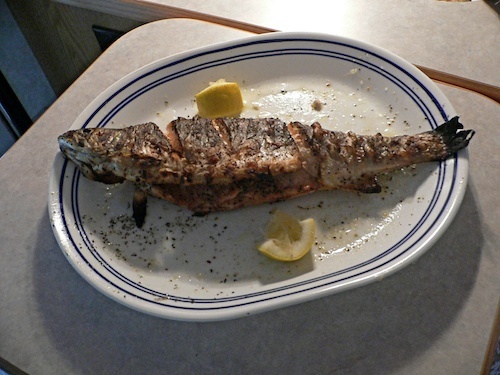 We had a taste of the Maine wilderness when we stayed at a fishing camp in Western Maine, on the border with New Brunswick. But after two weeks in the real North Woods of Maine we can say, without qualification, this is no Bar Harbor, it’s better. No trendy shops, no lobster pounds, no tourist attractions. 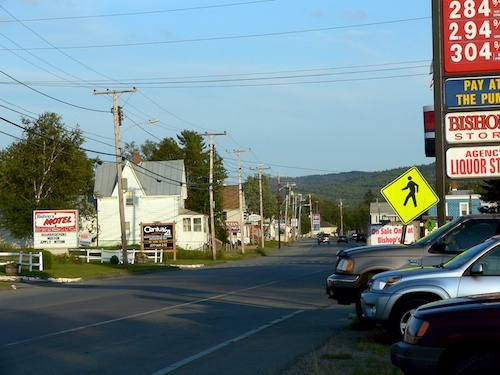 Jackman offers the basics: groceries, liquor, gas, bait and tackle, some mom and pop restaurants and not much more, but we fell in love with the place. 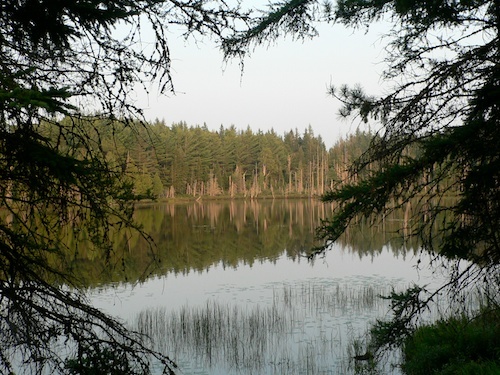 We drove down logging tracks and back roads to find beautiful quiet lakes and rivers. 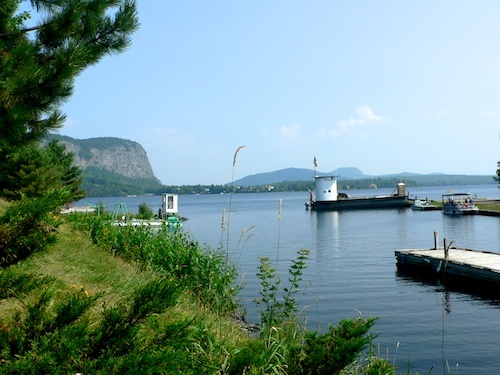 Places like Moose River, Wood Pond, Moxie River and Moosehead Lake. Hubby likes to fish for bass and always releases them. 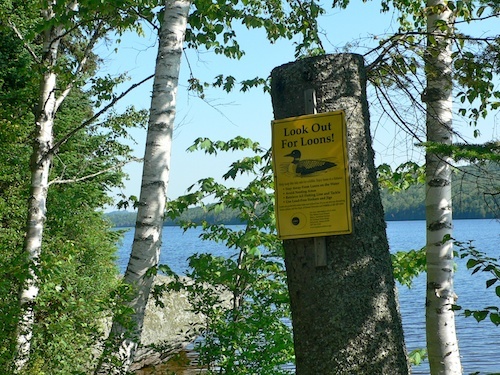 Maine has few bass, and where you find them they want you to take them out. This is trout country. This is also moose country, they are everywhere. We heard tales of moose in the yard, in the road and in the middle of town. We found no end of places with “moose” in their names. We even had Moose Track ice cream. 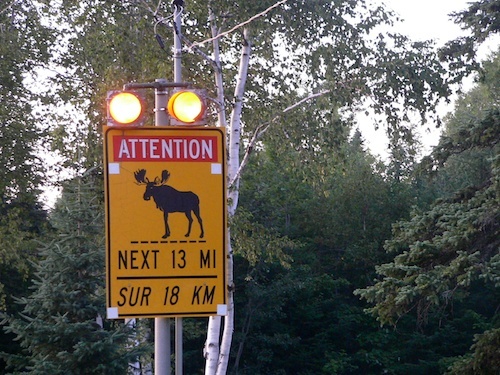 What we didn’t see was a live moose. We went out at dusk just about every night and in two weeks we never saw one. What we did see was beautiful scenery, great fishing and terrific people. The pictures tell the story. Downtown Jackman, Maine. Just the basics. Come visit our alpaca farm while you’re in Maine! Sounds like heaven on earth. Wow… Such peace. I’ve never been, but I’ve always said I would want to move to coastal Maine or Vancouver Island (my favorite place). Hot and humid here. Almost daily rain. The photo of the unsettled weather has drawn me in. Keeping going back for another look. Oops…Typing without thinking…entering without proof reading = oops. Should have said “I keep” not “keeping”. It will start to cool off soon, november is just around the corner. I’m living vicariously on your wonderful journey. I have always wanted to explore the NE coastline of US, perhaps someday. Until then I’m following on with you.. Thank you, we have lots of vicarious travelers on board with us. Makes for a fun time. I am seriously unimpressed that I am back and work, updating my blog post-vacation , and you are writing yours realtime! Don’t you want to swop places? I wish you guys were on a permanent vacation. I so enjoyed travelling with you, having a few Bloody Mary’s with you and laughing along with you. Great insight on what it would be like traveling with a bunch of guys, farts and all. Great fun, and no I don’t think I’ll swap…I’m done working. Wow we must of been fifteen minutes apart from one another. I was just up there a week or two ago. In between Jackman and Greeneville (closer to Jackman) there’s Brassua Lake. And we had a place on the water. Great to see some other people in that neck of the woods! love Maine, and New Hampshire. We have been through here several times, so my posts don’t always correspond to real time. 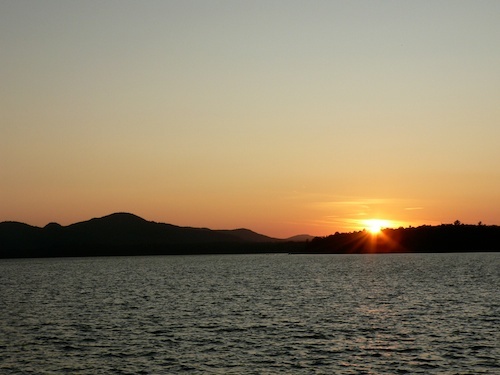 I liked your pictures of maine, especially that sunset. 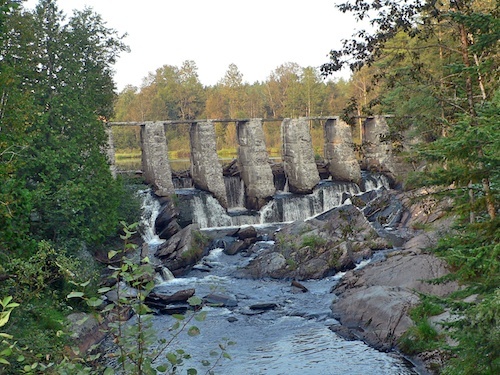 Would you please tell me when was the picture of the Old Mill Dam in Moose River taken? It was on our first trip there in August 2009, we spent about 10 days in Jackman. You know the dam? It was at the end of our campground.